“ Training trainers is our core business. Because we’re the best…seriously! We’ve been around for 40 years. We LOVE training and we’re really good at what we do. First, we’ve been there and can relate with you. We grew up in learning and development and have held every job from Training Coordinator to Vice President. We have managed a wide range of resources from large staffs with hefty budgets to a department of one (and the first to have our budget cut!). Facilitation - Let us be your adjunct facilitators for meetings or projects upon which you are embarking. Instructional Design – Need help designing something from scratch? Coaching on how to design? Review and feedback on already designed materials? No problem! We will customize a package that is right for you. Performance Consulting –Each organization has its yearly goals. One thing often overlooked is those goals are reached by people performing. If employees are not performing THAT’s when we need to step in and identify what’s getting in the way and address it. And yes, the answer is NOT always a training program! Fourth, choose us for our amazingly talented instructors! Each of our Certified Master Facilitators has 15+ years of experience in the L&D community, has managed a training function and has a passion for this work. They love sharing their stories to help illustrate a concept. They truly model what they teach. Fifth, we’re flexible. We can provide our courses and certificate programs at your site as an in-house corporate training, virtually or as a public class at major U.S. locations. Last but not least, you’ll love working with us. Although we have expanded our offerings and services over the years, one thing has remained steadfast: our belief in working in partnership with you! 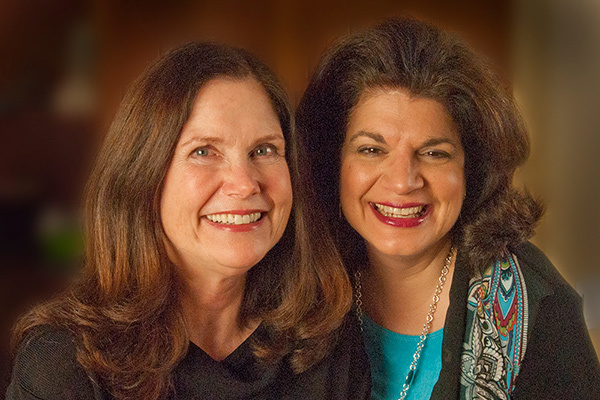 From the moment you call us, you will have direct access to The Training Clinic’s owners, Melissa Smith and Maria Chilcote, or Team M&M as they are fondly called. And Team M&M is with you every step of the way. We’re all about performance. We’re all about partnership. We’re all about making YOU shine in your organization. Give us a call today and start getting the performance results your employees deserve! Number of TTC Certification Programs. Number of days to get back to you.